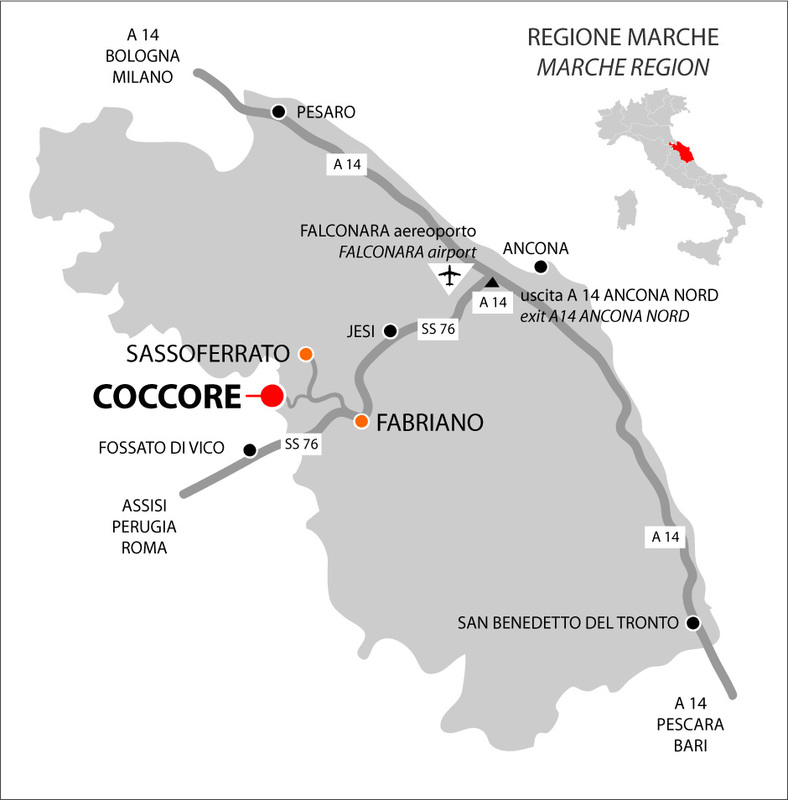 The village of COCCORE is located between the city of Fabriano and Sassoferrato. You have to reach Fabriano and then take the road to Sassoferrrato: SP16. 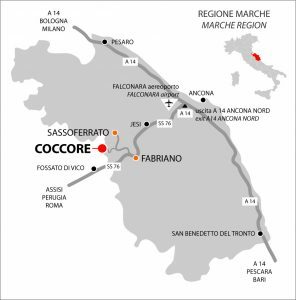 About 10 km after leaving Fabriano to Sassoferrato, you will find road signs to Coccore on the left in the middle of a curve. Then follow the signs of the Festival to the village top where the parking will be indicated. It’s recommended to reach the Fabriano station, Ancona-Roma line. In front of Fabriano station, you can rent A.V.I.S cars. Let the Festival staff know at what time you arrive, we will organize shuttle service. If you arrive in Italy by plane, in the airport of Rome, you could stay in our dear friend Sandro’s Casal Biosè B&B (casalbiose@gmail.com). It’s a pranic foothold, furthermore if you want Sandro is available to accompany you to visit the wonderful Rome. Please take contact with our coordinator Piero.